A man is questioning why police failed to respond to his San Jose business after it was burglarized twice in the same morning. Ed Ajlouny owns the computer service shop, Macblowouts, located at 6104 Camino Verde Dr. Surveillance footage from a few weeks ago show a burglary suspect ransacking his shop. After the suspect fled the area, he returned an hour and a half later, Ajlouny said. "Any time someone breaks in you feel violated," Ajlouny said. "I called the alarm company and said 'what happened?' They said we called the police and they failed to respond." Police said they did not respond to the alarm per department policy. Under its verified response policy, officers will only show up if there is visual or audible evidence of a break in, or a witness indicating suspects are still on scene. "When I'm at home in bed with my family, I expect the police to help protect the businesses in the community that's helping raise tax funds and keeping everything going," Aljouny said. 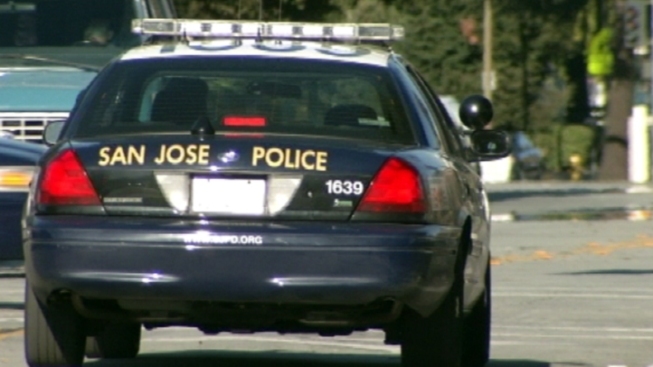 The San Jose Police Department said an overwhelming majority of alarm calls are false alarms wasting valuable police time. City Councilman Pierluigi Oliverio, who is running for mayor, is urging voters to attend Tuesday's council meeting. The council at the meeting is scheduled to discuss a referendum on the June ballot allocating 40 percent of the overall city budget to police. The city currently allocates 30 percent of its budget to police services. "More police on patrol. More technology. More equipment," Oliverio said. "Whatever the police chief would deem necessary to fight crime in San Jose." Meanwhile. Ajlouny said he would appreciate any help. "I don't need more cops," he said. "I just need one cop to respond."